ISTANBUL, Turkey (Morning Star News) – In a daze, Nataay Boushra made his way out of the morgue and into a hallway of the army hospital in Cairo, Egypt. Bishoy. He kept repeating his son’s name in his mind like an incantation, willing him to come back to life. But his body, stripped of its soul, lay covered by a sheet on a drawer in a cadaver refrigerator. For Boushra, the pain was beyond comprehension. The military’s claim of suicide sent Nataay Boushra spiraling in anger and disbelief. Never mind that his deeply spiritual son, a prospective Coptic Orthodox monk, considered suicide to be a grave sin, or that he was widely known in the army and in his village for being well adjusted and happy. Never mind that there was no suicide letter or talk of depression before his death. He was just three months away from being discharged from the army and pursuing his lifelong dream of becoming a monk. For whatever reason, Nataay Boushra said, someone in the army killed his son, and someone else was lying about it. 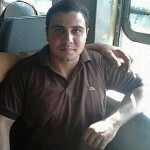 Bishoy Boushra was the third Christian this year, Egyptian human rights activists say, to die under suspicious circumstances while serving in the Egyptian military. The military claimed another Coptic Christian committed suicide in June. A third Christian, according to military officials, was killed in a shooting incident in August. The families of Boushra and the other soldier that reportedly committed suicide are openly questioning the military’s claims and say both men were murdered. As for the shooting death in August, there is no publicly available record of any criminal charges being filed over the incident, and it has seemingly been lost, accidentally or otherwise, in Egypt’s legal system. Bishoy Boushra and the two other Christians join a growing list of Coptic soldiers, their family members said, whom other soldiers have killed over the past few years, and whose deaths the government has covered up. In order to avoid national embarrassment, the government, many Copts say, refuses to admit there is a problem of mistreatment of Christians in the military. The denial is an extension of a larger issue in Egypt: The government refuses to admit there is a problem of mistreatment of Copts in Egypt as a whole, despite overwhelming evidence to the contrary. Discrimination and persecution of Christians in Egypt covers all elements of society, including the military, advocates say. Mina Thabet, program manager at the Egyptian Commission for Rights and Freedoms (ECRF), said it is “hard to prove” that the government is directly persecuting Christians in the military. The army’s complete lack of transparency is the main problem, Thabet said. Thabet added that when the government issues information, officials expect the populous to accept it without questioning. Their attitude is, “If we say it is suicide, it is suicide – you have to take our story,” he said. Multiple phone calls to the Egypt Armed Forces Media Center requesting comment on the issue went unanswered. In January 2014, Bishoy Nataay Boushra was drafted into the Egyptian Army from the town of Mallawi, in Minya Governorate, for two years of service. He was placed in the Central Security Forces (CSF), a ubiquitous, 450,000-man unit under the command of the Ministry of Interior used to augment the Egyptian National Police. Boushra was posted to the outskirts of Cairo, guarding the CSF barracks used by his duty section. According to his family, he appeared to have adjusted well to military life but told friends and relatives he was looking forward to his discharge date on March 1, 2016, so he could enter service in an Orthodox monastery. “Ever since he was young, he had ambitions to become a monk and give his life to God, even deciding to skip college so he could finish school early along with his military service and go to a monastery to serve there,” Boushra’s father said. Problems, family members said, came a few months ago when a fellow draftee, a Muslim known to the public only as “Mustafa,” began ridiculing Boushra for his faith. Boushra endured months of threats, violence, intense verbal abuse and public humiliation without retaliating or even defending himself, his father said. Boushra took the abuse in stride until Nov. 4, when the Muslim soldier launched into a tirade against Christianity, Christians and essentially everything Boushra believed about God, and he struck back, his father said. “He was cursing Christ, Bishoy’s faith and the church, and that was the last straw, and Bishoy couldn’t take it anymore and hit him,” he said. Boushra picked up a stick the size of an ax handle and hit the other soldier in the head, knocking him to the ground, according to court testimony. The soldier was taken to a hospital for examination and then released. Both men were arrested and placed together in a jail cell awaiting a hearing in a military court. For reasons still unknown, another soldier who was a friend of Mustafa was later locked in the military prison cell with Boushra and Mustafa. In a phone call to his father, Boushra talked about striking back. According to the military, Boushra was found dead the morning of Nov. 20 in the bathroom of a military jail cell with a sheet wrapped around his neck. He had been waiting on a final court hearing on a misdemeanor charge stemming from the assault. The judge was preparing to release both soldiers after they went through an informal judicial process in Egypt known as reconciliation, family members said. The release, if approved would have happened on Nov. 25. If not approved, Boushra likely would have been sentenced to three months in prison and then released from military service as scheduled. Officials told Nataay Boushra that his son killed himself by standing on an exposed water pipe, tying one end of a bed sheet around a window sill, wrapping the other end around his neck and jumping off the pipe. The wounds on Boushra’s body, his father said, told a different story. In addition to the ligature marks expected from a hanging or strangling death, Boushra’s torso was covered with bruises and huge welts from what appeared to be sustained, brutal beatings. Exactly how the bruises got there is a mystery. The military made its ruling that the cause of death was a suicide before an autopsy was performed. At the morgue, the family refused to take charge of the remains until officials conducted an autopsy. The results of the autopsy, conducted the next day, are expected in roughly a month. It is unclear if the results will be released to the public or the family. Boushra’s remains were buried in Mallawi on Nov. 21. During a court hearing on Nov. 18, the younger Boushra was able to meet with his uncle, Samy Boushra, who said that his nephew apologized in court for striking Mustafa and deeply regretted it, but that he was otherwise in good spirits. Boushra’s uncle was the last family member to see him alive. Based on his nephew’s mental state during and after the court hearing, he does not think he committed suicide. Nataay Boushra said the military’s claim that his son killed himself is without basis. Father and son spoke to each other by phone two days before his death. The Boushras aren’t the only Coptic family seeking justice for relatives lost under suspicious circumstances while serving in the military. In June, according to the military, soldiers found the body of Coptic conscript Bahaa Mikhail Silwanus slumped in a chair in an office on the base where he was posted in Suez Governorate. Military officials said Silwanus committed suicide by shooting himself twice in the chest with a rifle that was found at his feet. Silwanus was the only Coptic Christian soldier in his unit, members of his family said. Because of this, Silwanus told family members, he was harassed constantly. There are parallels in the Boushra and Silwanus deaths. Officials put up roadblocks to keep the Silwanus family from obtaining an autopsy for their son, as they did with the Boushras. It wasn’t until almost two months after the death that officials allowed the Silwanus family to see a copy of the results of an autopsy the military conducted. Silwanus also had unexplained marks on his body that, at minimum, raised serious questions about the military’s claim that he committed suicide; besides the obvious question of how he could have shot himself twice in the chest, there was a large, deep contusion on the back of his head from an apparently recent beating. Possibly the most striking parallel between the two soldiers was the similarity of their spiritual lives, and hence their families’ deep conviction that they did not commit suicide. As with Boushra, Silwanus wanted to become an Orthodox monk when his military service was complete. Before he was drafted, Silwanus was a deacon and devoted much of his time to several ministries in his church, including its music ministry, teaching Sunday school to children and leading an outreach program to bring nominal Christians into relationship with God. Once in the army, Silwanus spent much of his off-duty time in private devotions. “He used to pray and read the Bible all the time,” Silwanus’ cousin said. The soldier’s Bible, his flute and his prayer book were the only personal items authorities handed over to Silwanus’ family. His prayer book, which was in his shirt pocket when he died, was covered with his blood. The Silwanus family is still fighting to have another official investigation conducted into the death. Along with the two alleged suicides, a Coptic soldier was shot this year in Marsa Matruh near Alexandria. 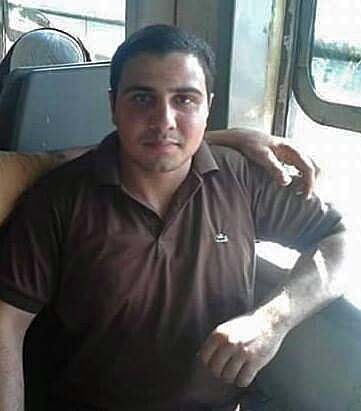 On Aug. 23, Baha Saeed Karam, 22, was shot four times by soldier Mohammed Tarek after an argument about religion during the month of Ramadan, when Muslims fast during the day, according to the military. Karam was taken to a hospital in Alexandria but died sometime before he arrived. Tarek was arrested and, according to local media reports, admitted to shooting Karam, but no charges have been filed against him in the three months that have followed. No other information is publicly available about the crime, Tarek or any possible charges against him. This year’s killings were hardly isolated incidents. On Aug. 31, 2013, officials from the Ministry of Interior informed the family of a Coptic soldier that their son, Abu al-Khair Atta, had killed himself. But later, after talking to other soldiers in Atta’s unit, his father claimed that his son was likely killed by an Islamist soldier who was pressuring Atta to become a Muslim. No one has ever been arrested in the case. On Sept. 18, 2006, officials reported that Guirgus Rizq Yusif Al-Maqar, 20, died of a sudden, unexplained drop in blood pressure. Later, however, family members discovered bruises all over Al-Maqar’s body while preparing it for burial. They also found that his genitalia were black and swollen. A fellow soldier in Al-Maqar’s unit later told the family that Al-Maqar had been verbally assaulted, harassed and beaten by fellow soldiers for being a Christian. The family requested that an autopsy be performed, but the request was denied. In August 2006, after telling his family he was being harassed and assaulted by his commanding officer for being a Christian and defying his orders to convert to Islam, the mutilated body of Coptic soldier Hany Seroufim was found floating in the Nile River. The death was never investigated, and no one has ever been criminally charged in his death. As devastating as the loss of his son has been, Nataay Boushra said he learned a great deal about him after he died.